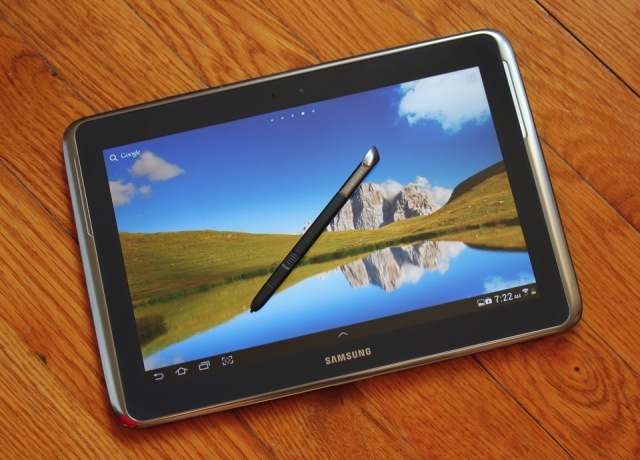 Samsung confirmed recently about the Jelly Bean Update of Samsung Galaxy Note 10.1. This will be rolled out at the later part of this year, though there are no specific dates as of yet. The same day, the company also unwrapped Samsung Galaxy Note 10.1, its new tablet for second time. Originally, this tablet was showed in February at the Mobile World Congress. In this time, the new tablet has been outfitted with new features such as 2GB RAM, split screen multitasking as well as quad-core processor. What we have also aboard is the Android 4.0 Ice Cream Sandwich. In its event, the company confirmed that on hitting the shelves, the device would continue to run the older Android version only and not Android 4.1 Jelly Bean. The Galaxy Note 10.1 will have Android 4.0 Ice Cream Sandwich instead of the latest Android version. Despite these, Samsung has vowed Android 4.1 Jelly Bean update for its Galaxy Note 10.1 which will only be available in the later part of the year, somewhere around November or December. The timings, it seems are justified because upgrading the devices to new Android version does require time! It is also rumored by some that the latest Android version will be available in the Galaxy SIII latest by August 29. It is quite evident from all this that Samsung is working hard for the upgrades. It is also believed that the testing for its Samsung Galaxy SII and Galaxy Note for Jelly Bean update has already begun. With all these updates, it is very clear that the company won’t break the vows to roll out Galaxy Note 10.1 with the upgraded Android version of Jelly Bean update. The only thing that you can wait for is the end of this year, during which you will surely see the devices with the latest Android versions. We can only hope that all this happens before the last day of December and that things works out really well! Good luck to Samsung from our side though! Let us hope that the hard work that Samsung has put in pays it off really well!